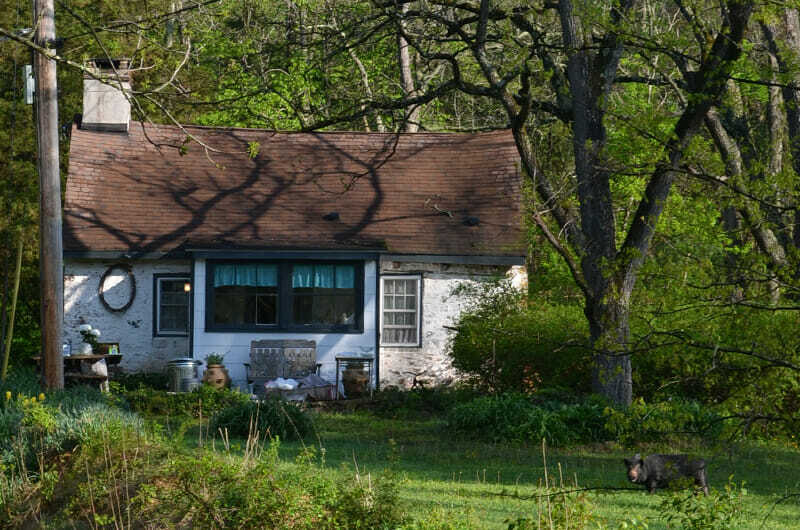 This classic 1600s country cottage is nestled at the end of a two-mile winding country road, surrounded by over 1000 acres of forest and wildlife. 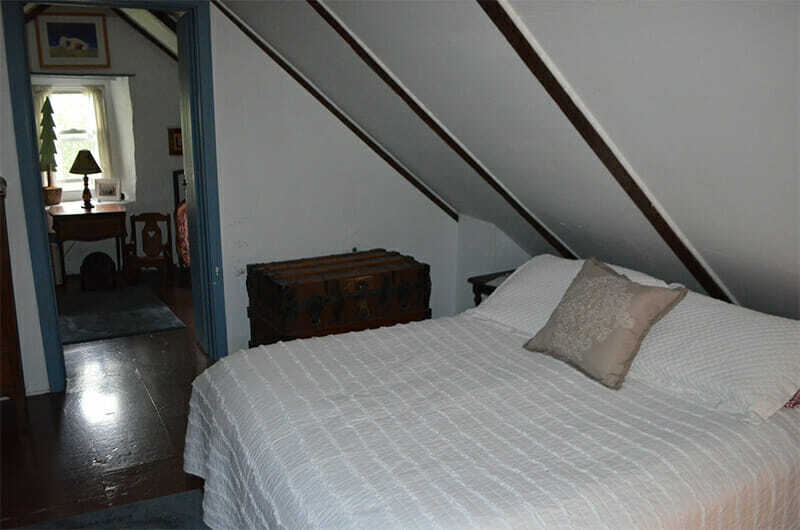 Adjacent to the Ross Mill Farm, the Cottage sleeps six and is fully equipped. 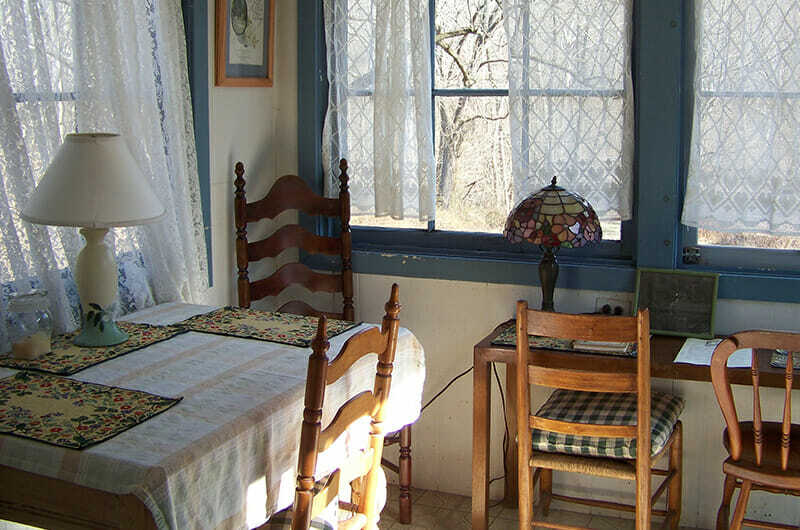 The Cottage is cozy and charming with great attention to detail. 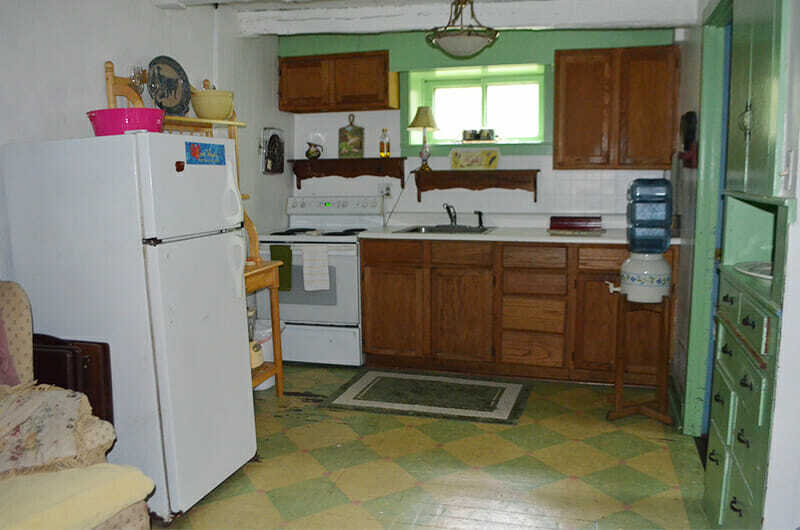 The first floor contains the primary living quarters with a working fireplace, full kitchen, full bath, enclosed sun porch and full size comfortable futon bed/couch. 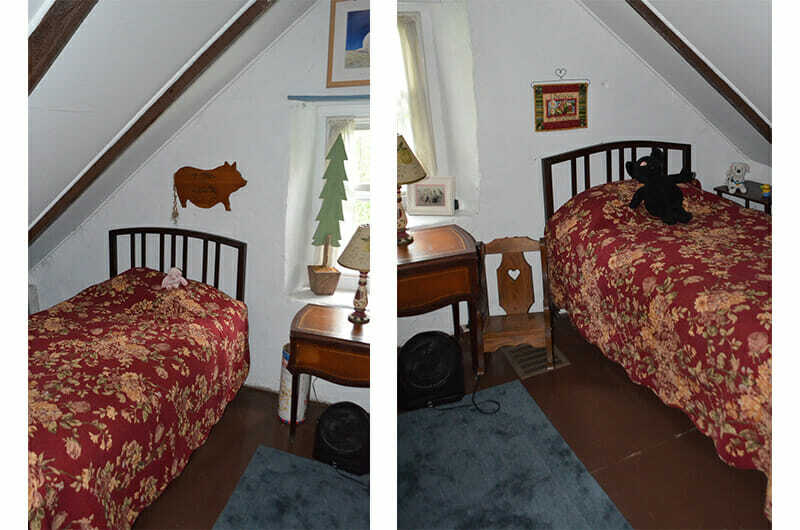 Ascend a modest spiral staircase to the sleeping quarters with pitched roof, one full bed and two twin beds in a separate room. In the spring and summer use the air conditioning or refresh in the gentle breezes that flow through open windows. In colder weather there is forced air heat or warm yourself with the working wood fireplace. Relax, explore… enjoy! 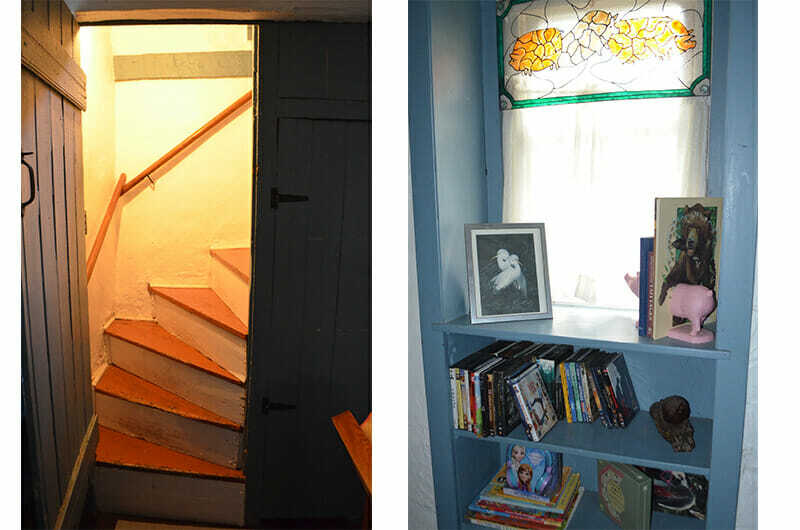 The cottage, built in the late 1600’s, is a classic, where function defines form, where light and shadow create mood and atmosphere, where every nook and cranny provide its own adventure, where nature blends into everyday life… Perfect for the whole family, a quiet romantic getaway or to write the great American novel. 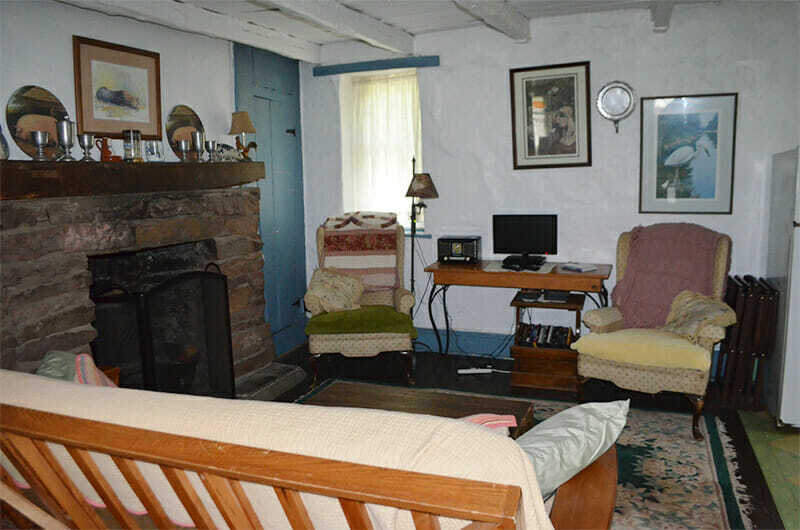 Travel back in time to the 17th century in this beautiful 1696 historic storybook cottage nestled in a 1000 acre private nature reserve, surround yourself in the endless beauty of nature. Situated on its own seven acre parcel, adjacent to the internationally renowned Ross Mill Farm, guests are welcome to visit this working farm between Noon to 3 PM daily. 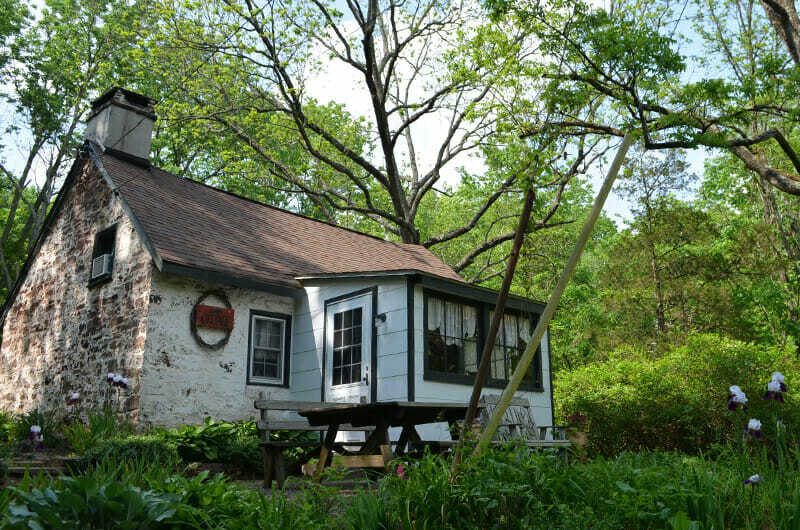 The cottage is adjacent to the Ross Mill Farm, an original fieldstone Bucks County farm, (on the web as www.rossmillfarm.com ). Build between 1730 and 1750. Today it is still a working farm dedicated to the wellbeing of the miniature pet pig as a household companion pet. Guests are invited to visit the farm and its outbuildings and to interact with this unique breed. Many of the Farm animals graze freely on the Farm and Cottage grounds. Guests will find them friendly, well mannered, clean and sociable. 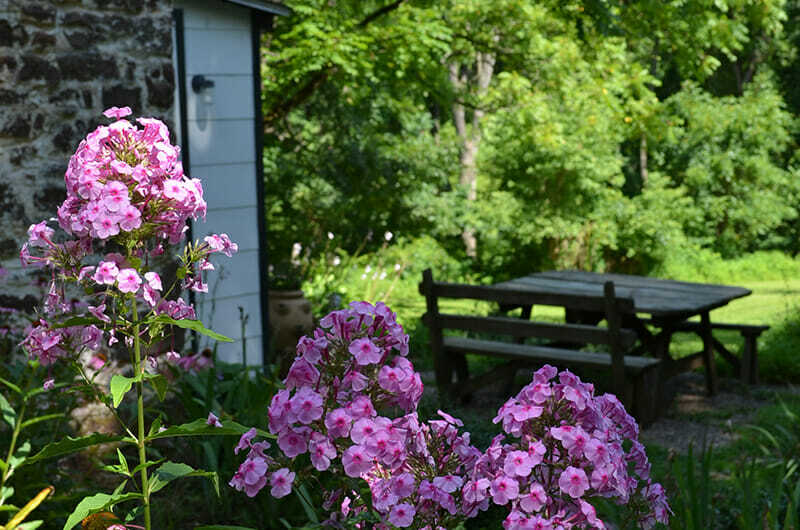 Enjoy a quiet time on this private nature reserve: Visit the working farm, Hiking trails are everywhere, Fish in the nearby stream or just sit on the porch swing and watch nature and wildlife go by. Secluded yet close to everything from antiquing, horseback riding to casual or fine dining. 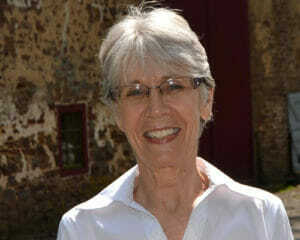 Visit buckscountyalive.com to learn more about the area and for the calendar of local events. Travel down an old one lane country road along the Little Neshaminy Creek. To a place where early settlers worked to forge a new nation, where in 1777 the Revolutionary War came to its door steps; to a place where Washington sent his officers to obtain supplies for 11,000 troops camped in the nearby fields and woods. As a steward of the land, I consider it a responsibility to maintain the historic integrity of this unique property. 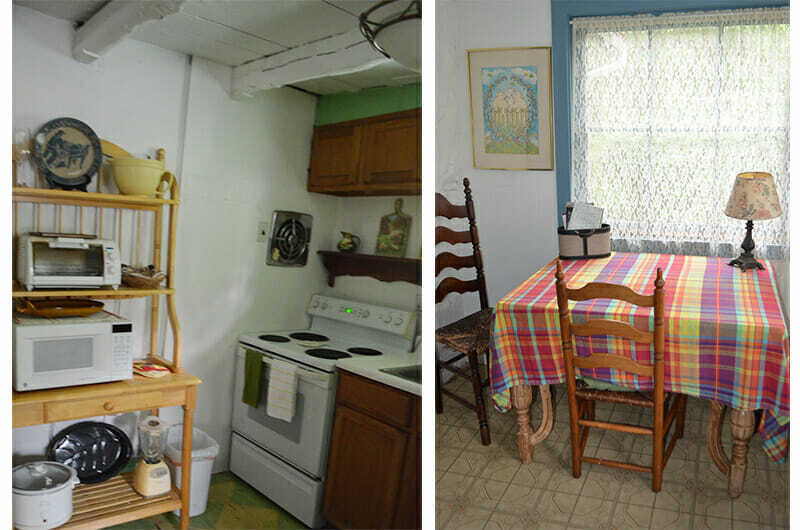 The cottage was made available to guests in 1999 to provide the opportunity for others to experience and enjoy. I am dedicated to ensuring you have a great time. The working farm is considered the primary source for information on the potbellied pig as a household companion pet. For the reservation calendar or to make your reservations call, text or email Susan. 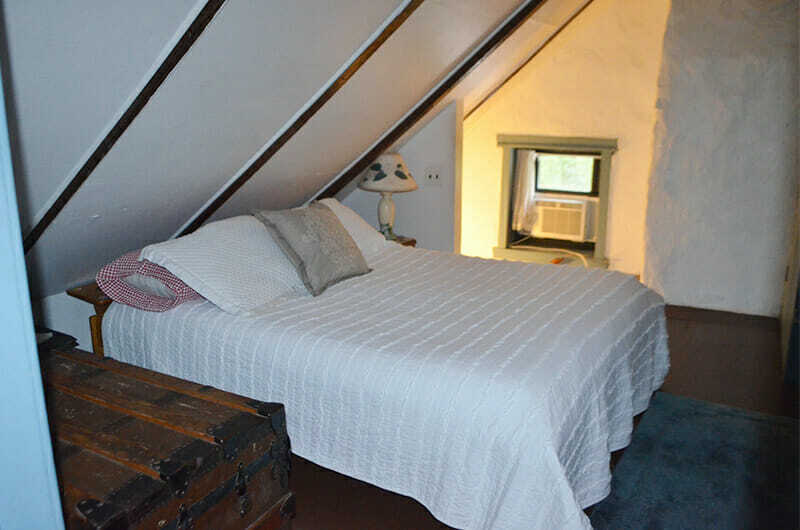 Price: $140 per night (includes taxes) for two guest, one bed. 50% is due upon reservation acceptance, balance due upon arrival. Accept Cash, Money Order or Check. Make checks or money orders payable to Susan Magidson and mail to PO Box 498, Rushland, PA 18956. Experience the adventure of a lifetime. Please Call!